KID Museum knows that combining high tech and low tech skills is incredibly powerful and key to inventing our future. That’s why we’re excited to welcome teen blacksmith, Alex Kao-Sowa to exhibit at KIDfest. Alex will be a senior at Thomas Jefferson High School for Science & Technology in Virginia this fall. His interest in material science and metallurgy pairs well with his passion for making things with his hands. Blacksmithing allows him to combine these skills in a meaningful way. 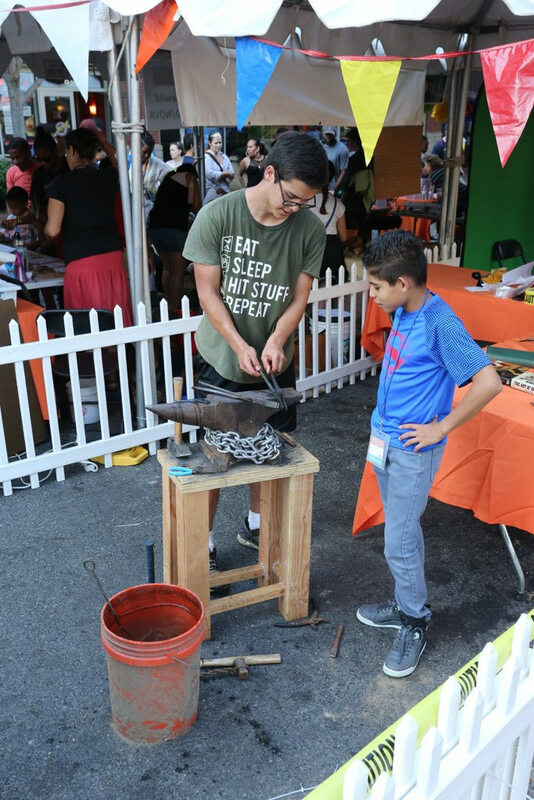 At Alex’s KIDfest booth you can learn how to set up blacksmith operations in your own backyard using readily available items from a hardware store. 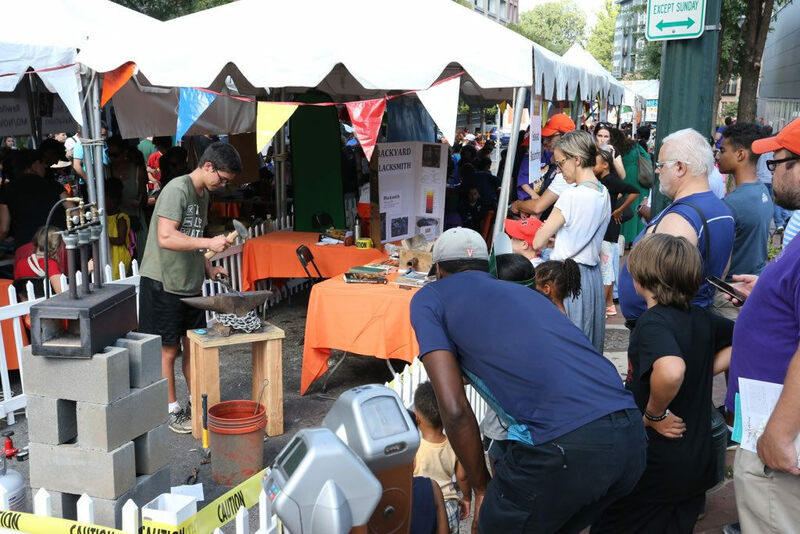 Visitors can try out his anvil as they learn more about the science and artistry behind this age old craft and its applications in our technologically advanced world. Stop by to visit Alex and learn about the different types of steel, heat-treating, and tempering, as well as smithing techniques. And, chat with Alex about where his STEM interests are taking him! He has plans to study mechanical engineering and material science in college, focusing on how these disciplines can be applied to the field of biomimetics—a field which aims to solve complex human problems through modeling. He’s a great example of someone inventing his future the KID way, and we anticipate some innovative creations from this young maker!